What is email marketing automation & how can it help your firm? Email marketing automation can help your firm nurture its mailing list, pushing the user further down the sales funnel, until they're ready to talk to you about your legal services. 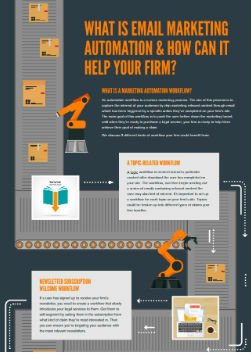 In this infographic, we introduce you to 3 email marketing automation nurturing workflows your firm can implement in order to increase lead generation.